One of the times I was most upset with my father was when he refused to take me to get a Sonic milkshake after gymnastic practice. As I sulked in my room, he was downstairs preparing the ingredients so that he could teach me how to make one. It is a skill that I haven’t forgotten – getting the ratio of milk to ice cream just right so that it is the perfect thickness. I made this milkshake a little more sophisticated (or child like?) 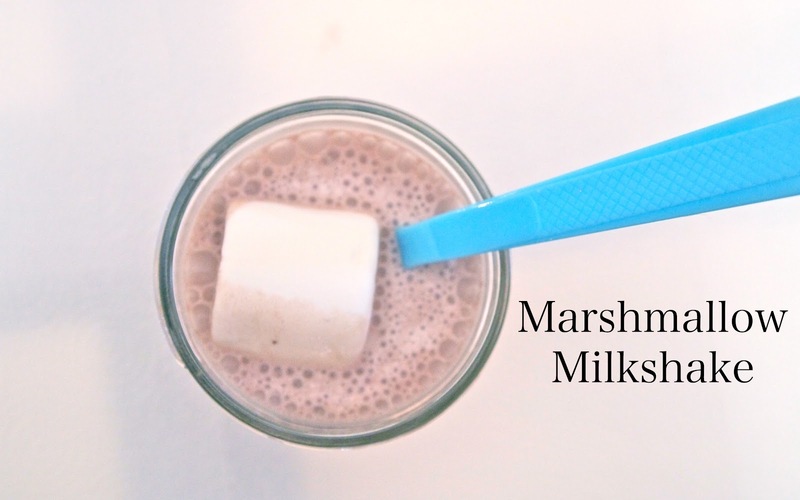 by adding marshmallows to the top.